Payment will be accepted in CASH, at the event. Please see the event coordinator when you arrive. I would like to invite you to our next Saturday Winter Social @ Mayfair West. 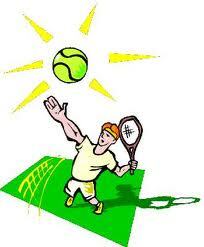 We will have 8 courts and you will get to play 2 hours straight. This will be great preparation for the upcoming Rust Remover and CGO tournaments. Reservation is done on a first come, first serve basis. You may cancel your reservation anytime by the end of day on Wednesday, April 17th. Afterwards, you will be charged if we cannot find a replacement. Looking forward to seeing you all on April 20th!